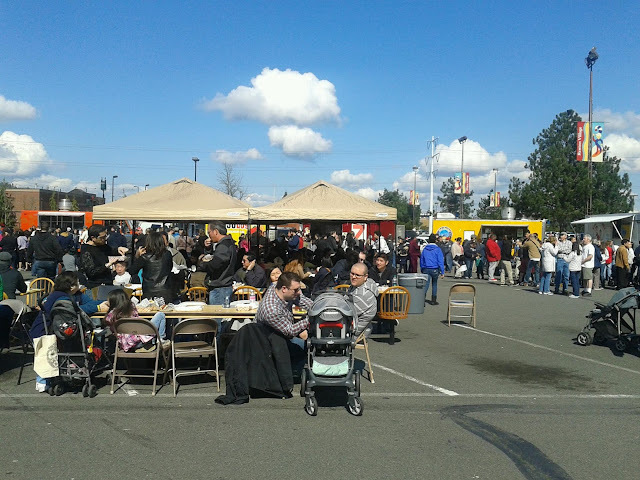 Today, I went to my first Foodtruck Roundup event of the 2013 year that was at the Renton Uwajimaya in Washington. 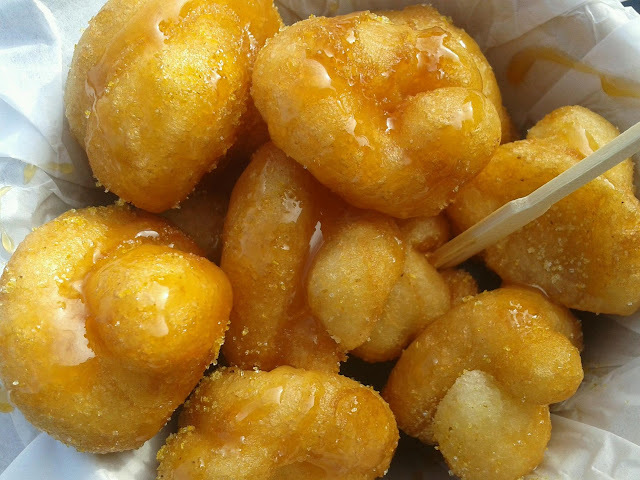 I didn't have a specific taste for any particular truck so I tried one new truck, Street Donuts, and an oldie but goodie, The Box. We got really lucky today since the weather turned out so nice! The day before it was snowing in some areas and we had pouring rain and high gusts of wind earlier in the week too! Click below for upclose shots ! 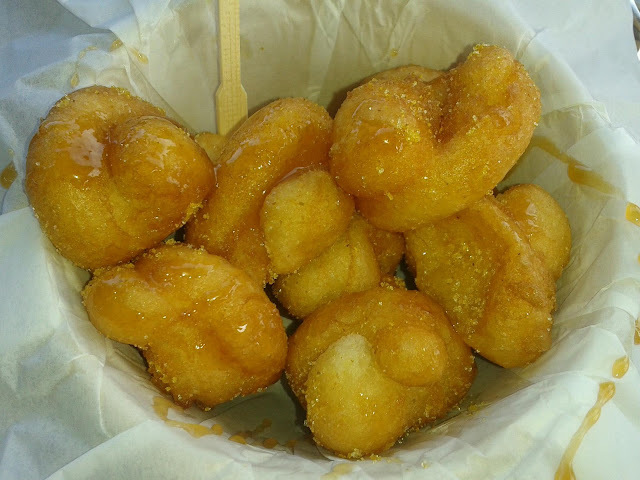 The Curry flavor wasn't too overpowering and paired up with the Caramel really nicely. I kind of wished the Curry flavor was a little stronger, just for my own taste, but other than that, it was really good! I'd definitely go back to this truck, but only if they don't have a super long line! I went back around and saw they gathered one of the longest lines there. 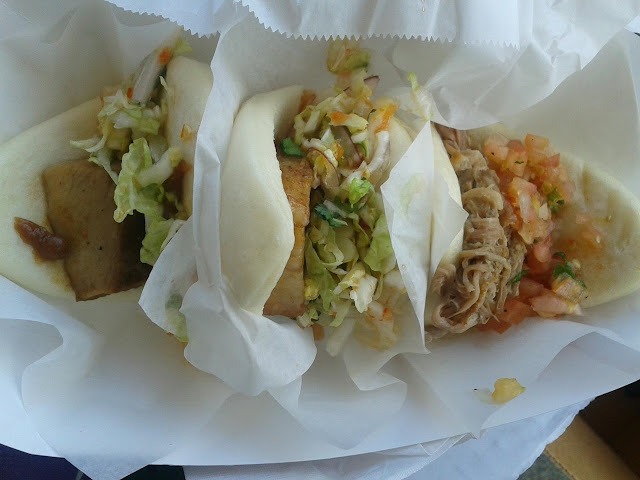 The next place I went was The Box, where they do a sort of Asian fusion style and these amazing sliders on these Chinese buns, mantou/bao (or I like to call them the Toilet seats that you order with Peking Duck, since it looks like a toilet seat.hah). I ordered 2 of the Pork Belly sliders and 1 Kahlua Pig slider. I've been here before and liked it, so I knew I wouldn't be disappointed. Here's and upclose shot of the Pork Belly. 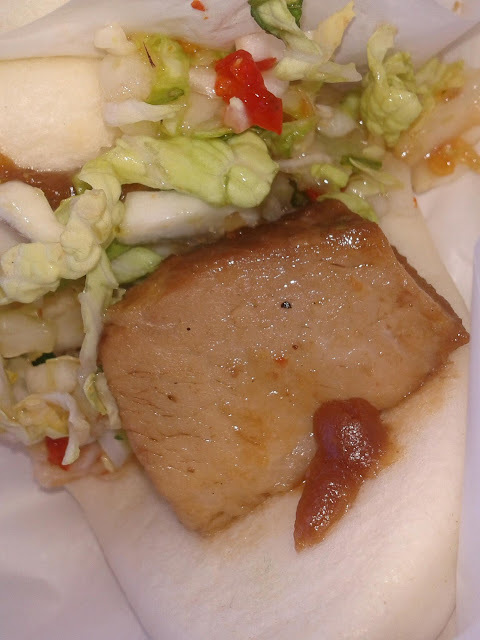 The Pork Belly is nice and tender so it just melts in your mouth and theres a peanut/hoisin type of sauce I belive that goes with it and some pickled/marinated veggies like cabbage to go along with it. Really nice! 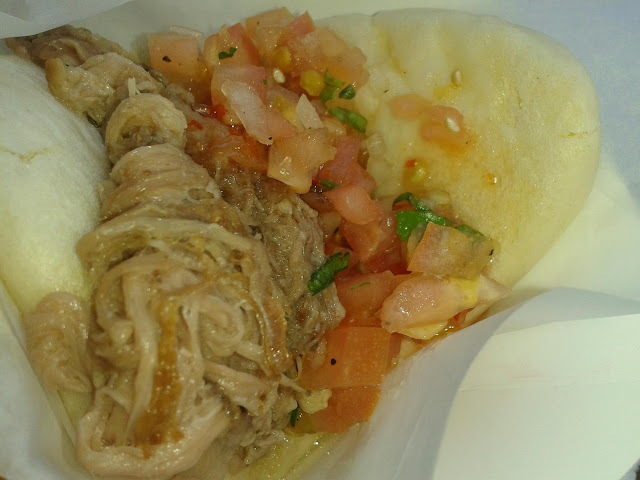 Then the Kahlua Pig slider was nice and smokey and had some sweet chili sauce and a Salsa type of condiment along with it. Its not as good as the Pork Belly one, in my opinion, but its still up there in flavor! Overall, a nice day to enjoy some good local food. 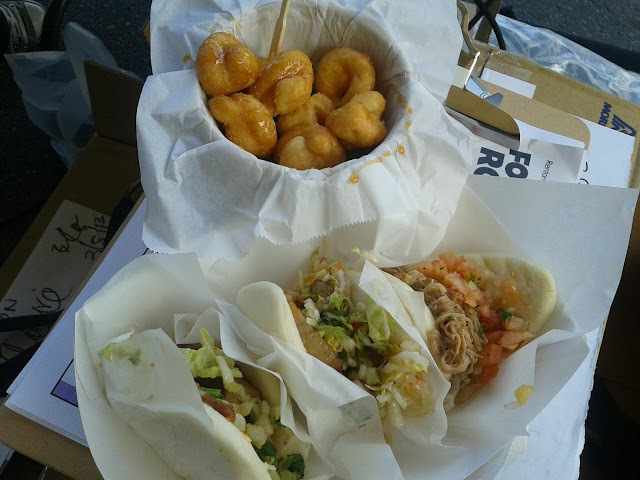 If you ever get a chance to go to a Foodtruck event in the Washington area and you see these guys, Check them out!